Toyota Gazoo Racing Australia’s Harry Bates and John McCarthy have survived a tough first day at Kennards Hire Rally Australia to grab an early lead and boost their chances of taking out the 2018 CAMS Australian Rally Championship. In a day where all four title contenders suffered setbacks, Bates’ driveshaft issues in the Yaris AP4 during this morning’s stages were relatively minor in comparison and he recovered to win four of the day’s eight stages and take a 3:38 second lead. 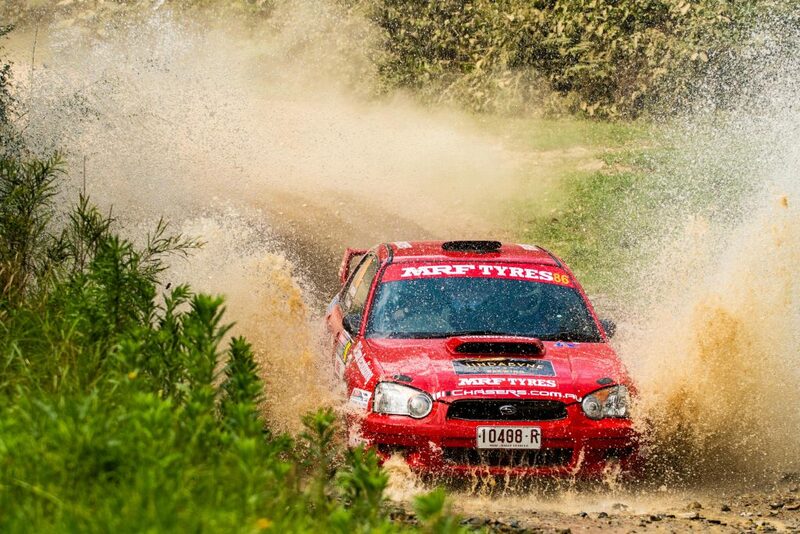 Championship leaders Tankformers’ Eli Evans and Ben Searcy were pushing hard from the get-go, fastest on SS1 and SS2. However a heavy landing over a jump on SS3 put an end to their day, the Skoda Fabia R5 suffering a broken radiator. The pair will rejoin tomorrow. Subaru do Motorsport’s Molly Taylor and Malcolm Read were not so lucky, the pair making an early exit from the event after a high-speed crash on the day’s second stage. The Subaru WRX STi left the road and hit a hay bale, positioned in front of a tree, and sustained a huge amount of damage, which was made worse by a subsequent car fire. Thankfully, the Subaru crew were able to walk away from the incident essentially unscathed but will take no further part in the event. Remaining title contender Contel Communications’ Steve Glenney, with co-driver Andy Sarandis, had a rough start to the day as they came to terms with the Skoda Fabia R5. The pair lost more than three minutes in SS3 with a flat tyre, a spin and a stall. Sitting in eighth place at the midday service, they recovered well in the afternoon to claw their way back to second outright. Young guns Wayne Morton and Kirra Penny produced a strong drive in their return to the ARC in their trusty Toyota Corolla S2000, sitting in third place at the end of leg one. Luke Anear and Jon Mitchell are in fourth with Andrew Penny and Rhys Llewellyn rounding out the top five. Bates was upbeat about day one of their Rally Australia campaign. “A better day than most for us, not without problems, but we’re here,” he said. At the midday service Glenney was a bit deflated with his efforts in the morning stages, but was much more positive about his time in the Skoda this afternoon. “It’s a big learning curve but we are getting there,” Glenney said. Young Queenslander Morton was justifiably chuffed with his and Penny’s efforts today. “We’re pretty pumped, we’ve had a bit of an exciting day. The stages are rutted out a bit badly, and we misjudged a few jumps and stuff but we are still here and running which is the main thing,” Morton said. In the ARC2 final, Andrew Penny, in the four-wheel-drive Subaru WRX STi, leads the Mazda RX7 of Adam Kaplan by more than a minute, with Haowen Chu in third and Kevin Raedel fourth. Ben Hayes did not finish today’s leg. 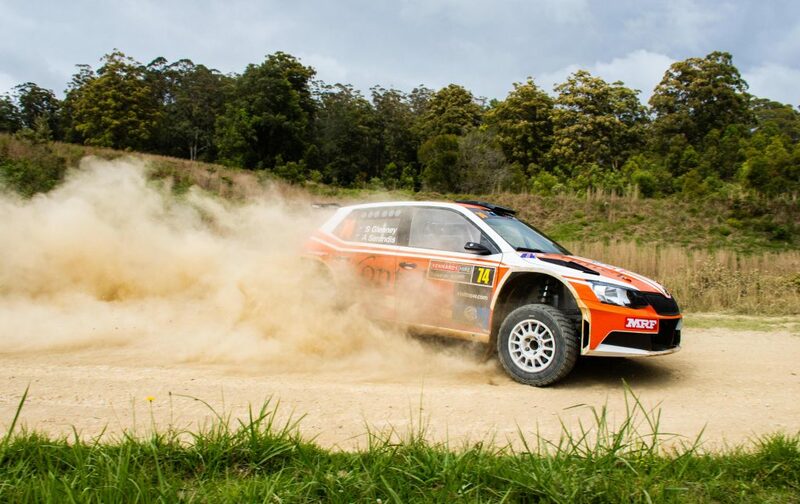 The sixth and final round of the ARC continues tomorrow with leg two, eight stages taking place to the south of Coffs Harbour on fast and flowing roads. Competitors will return to the Destination NSW Super Special Stage in the afternoon for a further two passes of the 1.27 kilometre stage.